Left up to a user, device security is usually not implemented properly. 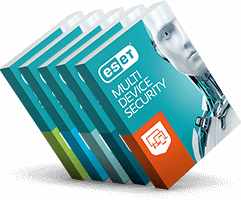 ESET allows you to define password complexity requirements, set screen lock timers, prompt users to encrypt their device, block cameras and more. Mix and match your license seats exactly as you need. 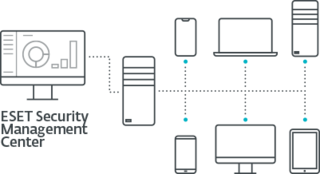 Migrate seats from one device to another, regardless of the OS. 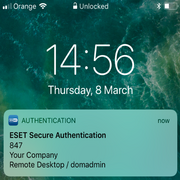 No need for dedicated solutions - ESET Mobile Device Management for Apple iOS comes integrated within ESET Security Management Center, giving you a single point of overview of network security, including all endpoints, mobiles & tablets and servers. Organizations are not only concerned with devices being lost or stolen, but also with data theft when an employee is terminated. Enforce security policy that requires mobile devices to be encrypted. Implement security policies that require passcodes or pins to be set on all devices. Lock-out or remotely wipe devices when needed. Remotely lock/unlock devices or wipe all the data they hold in case they are lost or stolen. White/black list apps to prevent users from installing prohibited apps and manage app notifications to users. Remotely push out account settings such as Wi-Fi, VPN and Exchange information. Adult web content, as defined by Apple, can be blocked. The admin can also white/black-list specific URLs. Company Apple iTunes ID Compatible with ESET Security Management Center and ESET Remote Administrator 6. See more information about remote management compatibility.